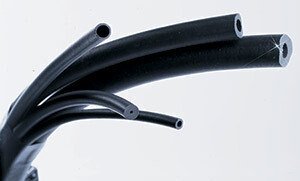 Santoprene thermoplastic rubber tubing is offered with Shore A hardness rating of 64A (TYSP6) or 73A (TYSP7). The tubing resists fatigue and exposure to ozone and ultraviolet radiation. * Specify durometer: 6 (for 64A), or 7 (for 73A). 참고: FDA tubing is a tan color.